BNP Paribas Real Estate has been appointed by Norham House Estates to comprehensively refurbish the common areas and lease more than 10,000sq ft of office space at 41-51 Grey Street, Newcastle. 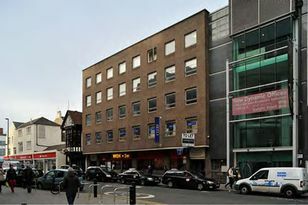 The property, which is located in the heart of Newcastle’s historic Grainger Town, remains one of the city’s most prestigious office addresses. Other occupiers currently in the building include Go-Ahead and Mitchells & Butlers. Paul Wharton, of BNP Paribas Real Estate’s Newcastle building consultancy team, said: “The works committed at the building will provide a full upgrade of the reception and common areas, with the refurbishment scheduled to be complete by the end of July. Aidan Baker, director, Newcastle office agency at BNP ParibasReal Estate, added: “The available office suites, situated on the first and second floors, coupled withthe imminent refurbishment, offers rarely available top-quality office accommodation in the heart of the city. “It can be secured individually or as a whole via a new lease or leases for a minimum term of five years.